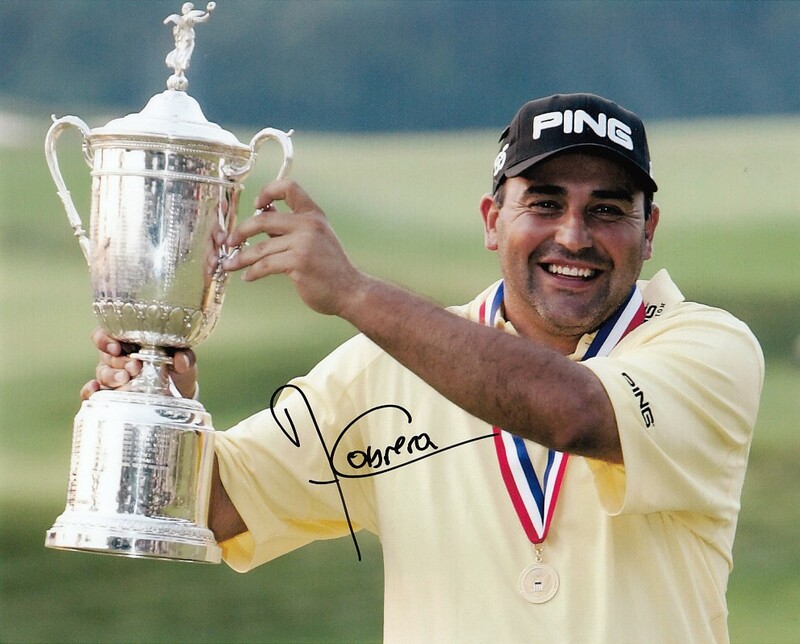 8x10 golf photo of Angel Cabrera celebrating his 2007 U.S. Open victory, autographed by Cabrera in black marker. Obtained in person. With certificate of authenticity from AutographsForSale.com. ONLY ONE AVAILABLE FOR SALE.